if you are eyeing on the new MacBook Pro with Retina Display, then you are probably a person who demands serious style and functionality. 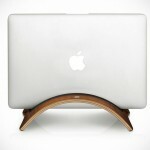 therefore for the style-conscious you, you would want an accessory that’s equally stylish to match a sleek laptop. 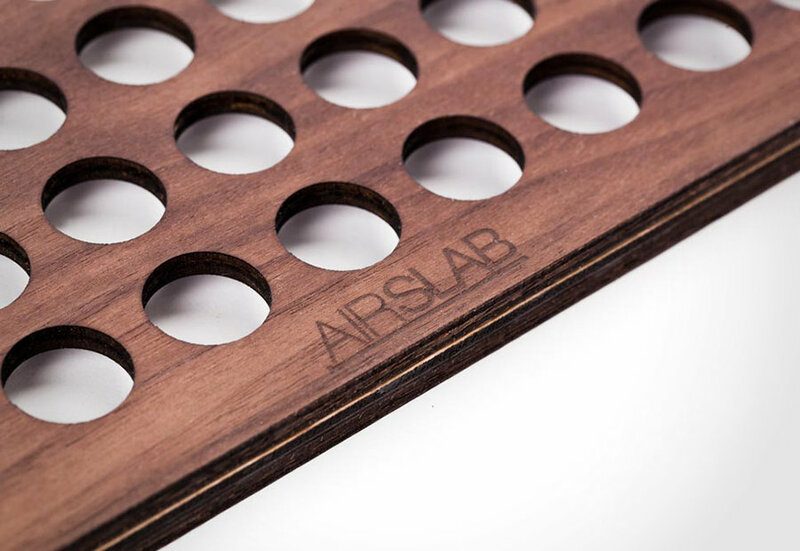 the AirSlab is, in our humble opinion, one that fits the style-bill. 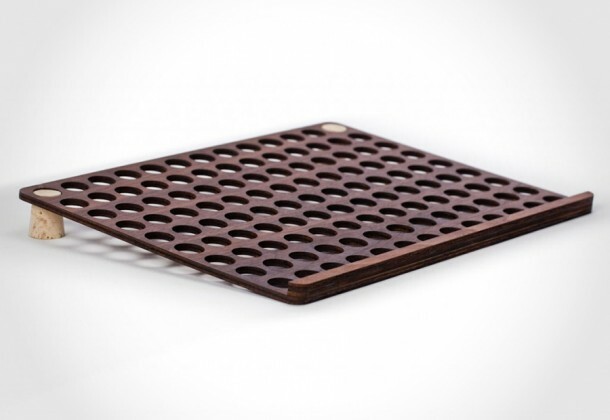 rather than getting yourself those cheap plastic cooler, the AirSlab comes in form of full grain Walnut or Baltic Birch with series of circular holes to aid in the cooling of your laptop. 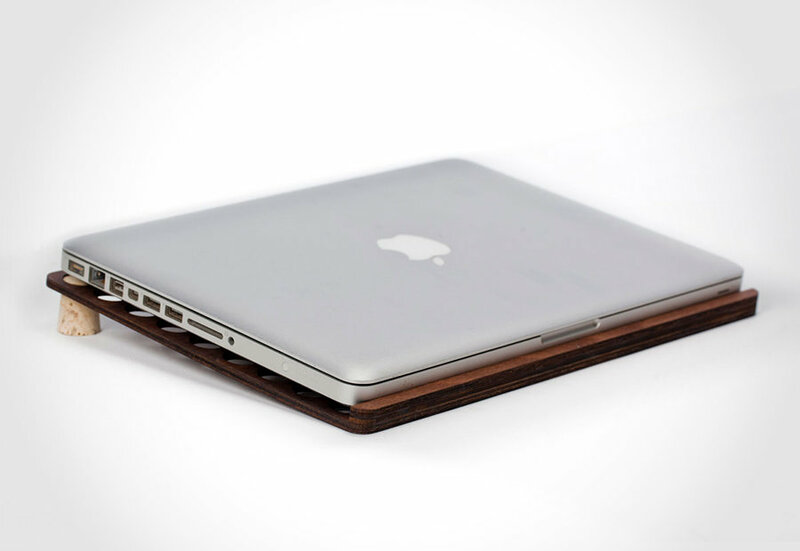 designed for to fit Apple’s 13- or 15-inch MacBooks, the AirSlab is laser cut from select natural wood, hand-finished, and oiled. 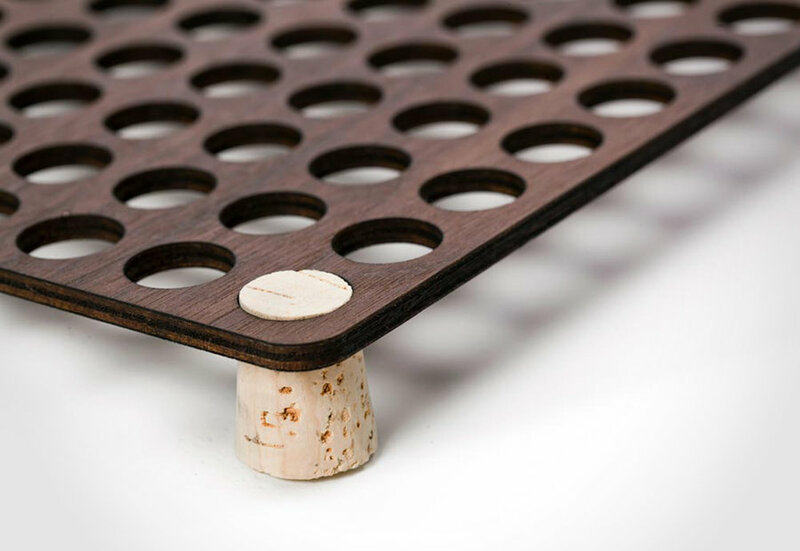 included are a set of corks that will nicely fit onto the AirSlab, giving it an ergonomic angle suitable for typing. for those who love to use their laptops on their laps (we don’t, just in case you are wondering), the AirSlab will reduce the contact temperature by 20 degrees F, which is probably a good thing cos’ the last thing you want is to have sweaty legs or worst, frying something *erhmm* else in the process. 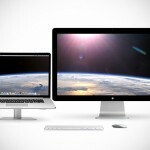 the AirSlab is available now for $45 and $49 for the 13- and 15-inch models, respectively. more look after the break. 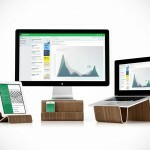 Twelve South BookArc möd – An Accessory or A Furniture?